For every day use. Absolute different paddings and shapes. 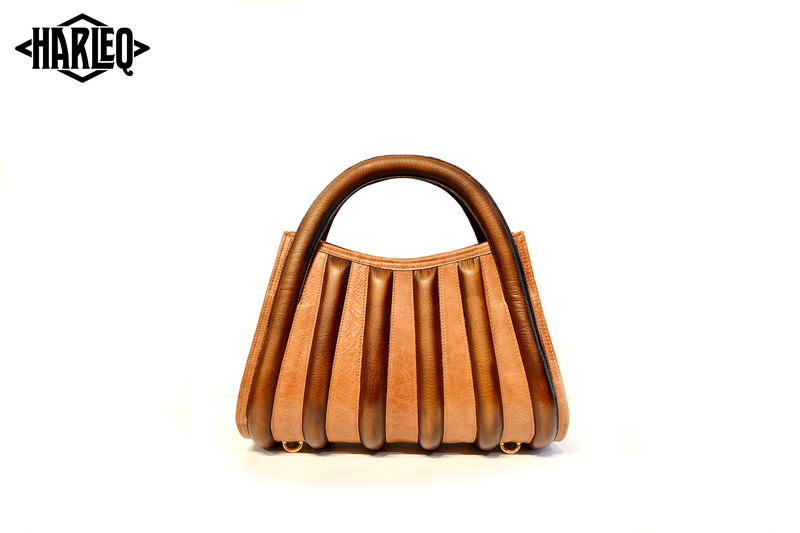 A Totally curved basket small shaped bag. 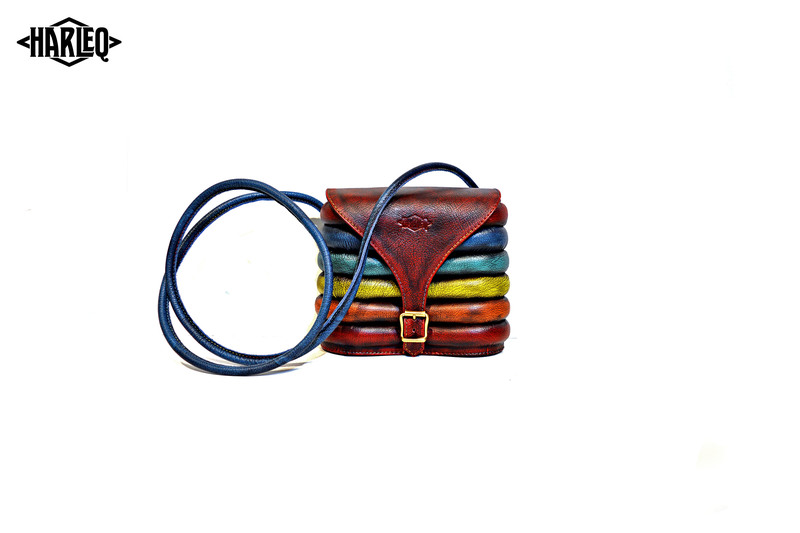 Very easy to wear, the strap can be used as a handle or extended for a shoulder bag use. A unique precious piece with exclusively curved paddings creating an innovative shape. Available also in two different backpacks versions. 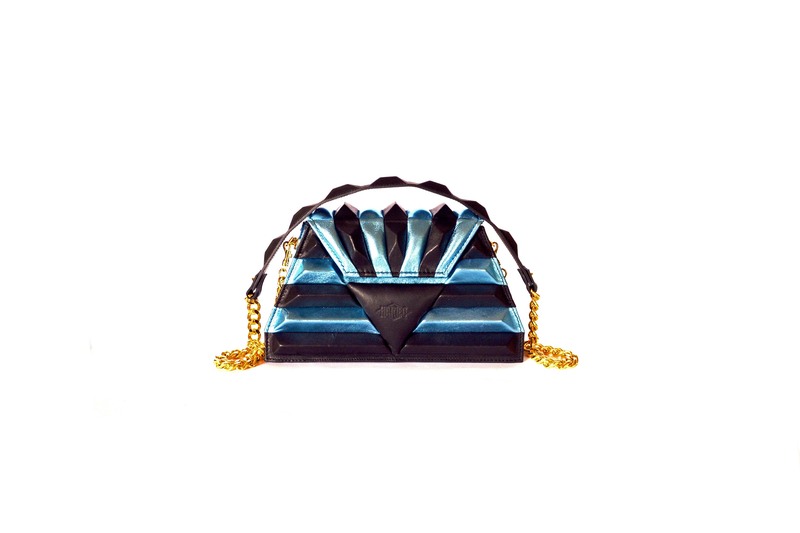 The Sphinx Bag: Architectural Pochette. 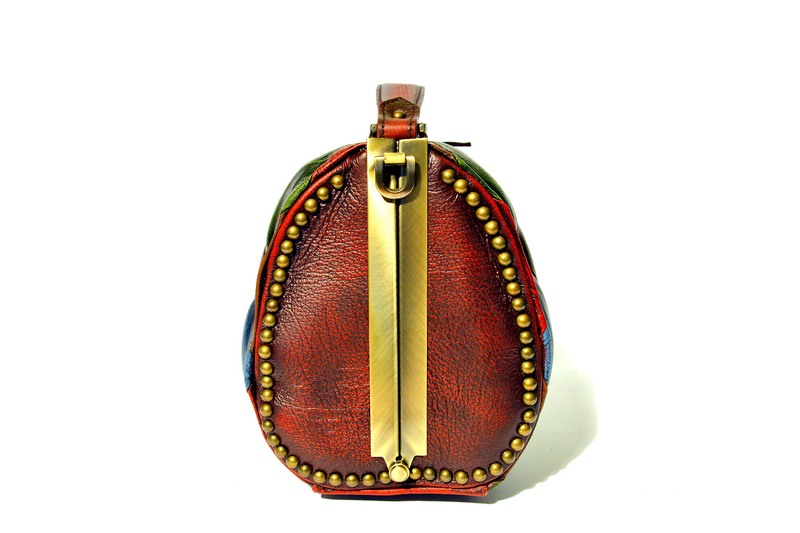 A small wearable pochette Totally New. Inspired by geometries of the ancient Egypt, this never-before-seen bag is made using the finest accessories and highest care of details. 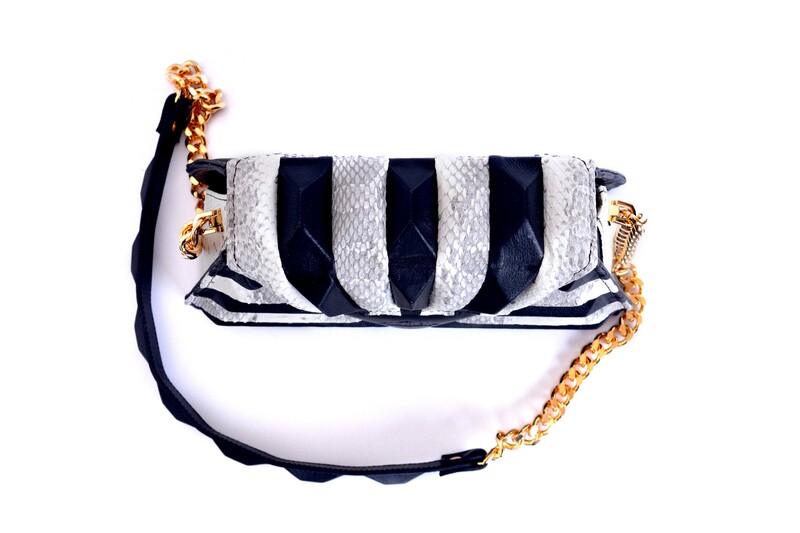 Innovative metallic and electric leathers including black and white reptile edition. 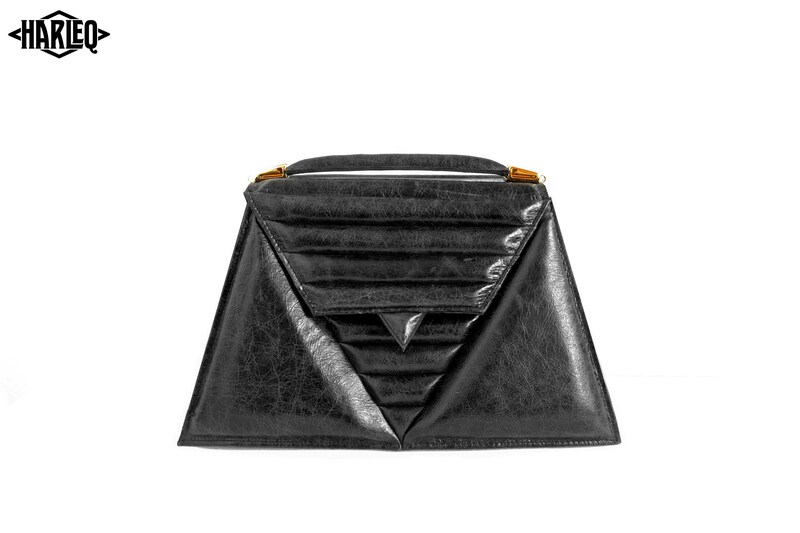 The Triangles Bag: Innovative Shapes. Light and Soft, the new Harleq Triangles has a unique shape, entirely handmade, each piece is assembled and hand-cutted. Totally different and Unusual! The HARLEQ Truck. 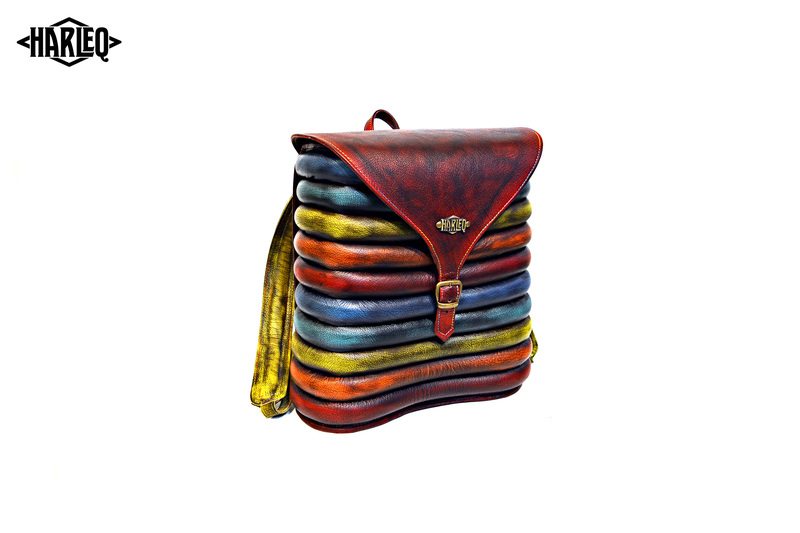 A unique Patchwork bag handmade using handsewn leathers and innovative paddings. Italian Leathers Handsewn together and Rubbed-off individually. Each Part is Made and Assembled in Italy. 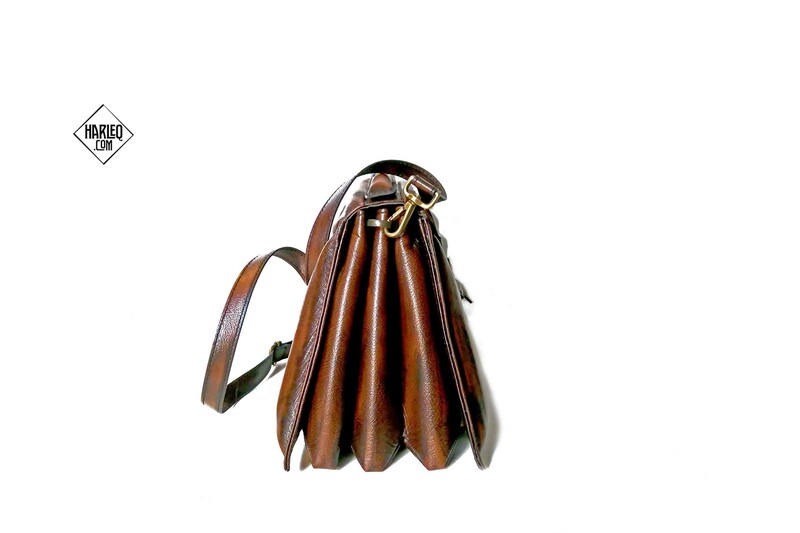 A High-Finish Leather Shoulder Strap included that can be attached with brass detailed hooks, total height: 51cm.